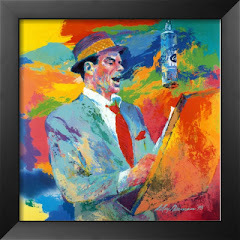 Here is a beautiful song, rarely heard by Jim Bailey, chosen to illustrate the incredible talent of this legendary entertainer. 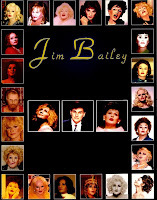 First explore the many facets and shades of Jim Bailey: in TV and movie roles, as "the baroness", "Cleopatra", in "Fragile Fire", as "Esperanza", "Jim Rockford", in "The Surrogate", as "Ramon Garcia", with John Larroquette on "Night Court", as Olivia Mann, Kay Goodman; in his great impersonations: Judy Garland, Barbra Streisand, Peggy Lee, Mae West, Tallulah Bankhead, Phyllis Diller, Bette Davis, Madonna, Marilyn Monroe; and discover the many friends of Jim Bailey, among whom are true legends of show business: here is Jim with Barbra Streisand, Zsa Zsa Gabor, Shirley Jones and Ann Miller, Kaye Ballard, Carol Burnett, Angie Dickinson, Lucille Ball, Phyllis Diller, Lucie Arnaz, Bette Garrett, Debbie Reynolds, Margaret O'Brien, Sharon Gless and Earl Holliman, Leslie Caron, Stephanie Powers, Liberace, Lana Turner, Liza Minnelli, Queen Elizabeth and Prince Philip, Prince Charles. Enjoy Jim Bailey's multiple faces and unique performance!